The solar eclipse will give Californian's a chance 'to dance' with the grid. Solar energy is the future, says the president of California’s Public Utilities Commission. The only question is how to get people to realize the future can be right now. Dancing with the grid means charging electric cars during the day, when the grid is brimming with solar energy. It also means generally being cognizant about energy use in homes. One-quarter of energy use in households is being gulped by things that aren’t being used, but are simply plugged in, like toasters and rarely-used televisions. Picker wants every Californian to become a part of the state’s modern energy infrastructure. The technology has arrived, works, and will be an integral part of California’s mission to quit using fuel for power. 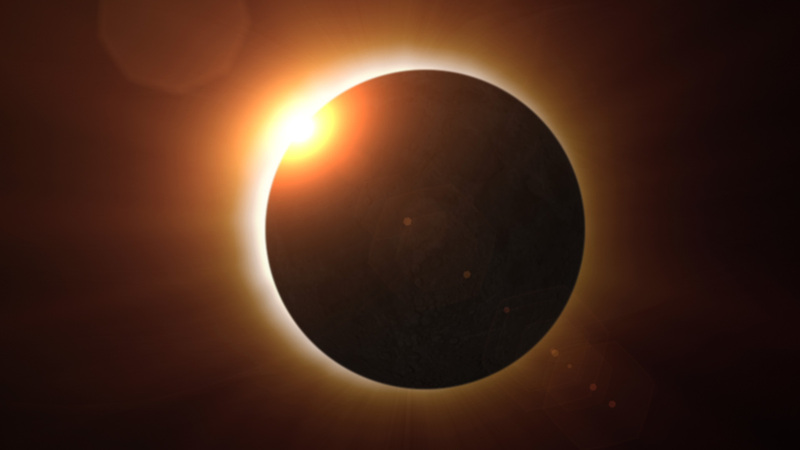 Californians will get a chance to adapt to the grid on August 21, when the coming solar eclipse will darken skies in the usually sun-drenched state. This will dramatically reduce the output from solar farms, which produce a quarter of California’s renewable energy. Foreseeing the cut in energy production, the California Public Utilities Commission is asking folks to turn up the thermostat, switch to LED lights, and not charge electronics during the dimming event. The campaign, called “Do Your Thing For The Sun,” reveals the importance of people’s behavior in making solar energy a resilient, reliable energy source — even more so than burgeoning battery technologies, which could supply power when the solar farms can’t. For two hours, the moon will block up to three-quarters of the sun’s rays, deflecting that valuable light back into space. These darkened skies mean a loss of 5,600 Megawatts — enough to power 900,000 homes. If Californian’s don’t reduce their energy use, the state will have to ignite backup fuel-burning engines to provide adequate power. This energy-saving campaign, however, prompted Tesla CEO Elon Musk, who in 2014 directed his company to begin constructing the 1.9 million square foot battery-producing Gigafactory in the Nevada Desert, to respond to an article about the campaign with a succinct tweet: “Batteries!” Musk’s implication is that California’s renewable future requires batteries to provide backup power when solar farms aren’t generating enough electricity. Still, Picker says people’s actions, not batteries, will ultimately enable the state’s renewable energy future, a future the California government is hell-bent on achieving. California is legally bound to produce a whopping 50 percent of its energy from renewable sources by 2030, which doesn’t include hydroelectric power generated from rivers pouring through dams. Picker says that if hydroelectricity is included in the equation, the state could achieve 70 percent renewable energy use by 2025 or 2026. And the current governor, Jerry Brown, is fully intent on abandoning fossil fuels. While arguing for a climate cap and trade bill (which passed) earlier this month, the 79-year old Brown made it clear that renewable energy — in which solar farms will loom large — will be a crucial part of California’s future. “This isn’t about some cockamamie legacy. This isn’t for me, I’m going to be dead. It’s for you, and it’s damn real,” he said. Battery facilities will still spring up around California as part of California’s grand renewable energy effort, and they’re likely to look similar to Elon Musk’s local battery projects in the state. In January, Tesla completed an energy storage facility for the utility Southern California Edison in just 90 days. The facility is capable of storing enough energy for 2,500 homes. But human behavior, not battery technology, will ultimately make the world’s sixth largest economy run largely on the sun, says Picker. “It’s an entirely different creature than we’ve had in our electric supply and we have to think about it differently,” he says.